It’s not about what it means, it’s about doing it. It seems that the challenge of the bible isn’t what it means. Okay, that is tough. It’s hard to understand what the bible is saying in lots of places. But the basic message is pretty clear. The bible is talking about loving and caring for our neighbor. It is about recognizing God as the only feasible center of our lives. Stuff like that. The question isn’t ‘What do all the individual passages about this mean?’, it’s ‘How will I do that?’ And that isn’t a debate question, it’s an action issue. Just do it. Afterward go to bed thanking God for a chance to try, asking forgiveness for what you messed up or missed, and a hint about how to do it tomorrow. What do you have to know to follow Jesus? If you know that God loves you, and everyone else in the world, then you know enough to be dangerous. For those looking for a church, or trying to decide if they are part of the right one or not, this is the question. “Does this church meet my needs.” It’s the right question, we just don’t understand what it means. We move into church life looking for music and a style of worship we like, programs that are about what we want them to be, good stuff for our kids (if we have them), a theology we agree with, people we would want to hang out with, and probably one that fits in our schedules. Let me go on the record and say that I understand this. I’m not against this attitude. It is natural. It is the ‘looking for something’ part of people that gives a church the chance to say, “Let us help you with what you are looking for.” But it is also something that a church has to help people redefine sooner or later or we are all in trouble, unhappy and unsatisfied. We should always be looking for a church that meets our needs, what we have to understand as we grow in spiritual maturity is that our needs need to change from things that fill us up, to things that we can do. It is the job of a church to help people see and begin to experience that they need their church because in and through it they can exercise their gifts. 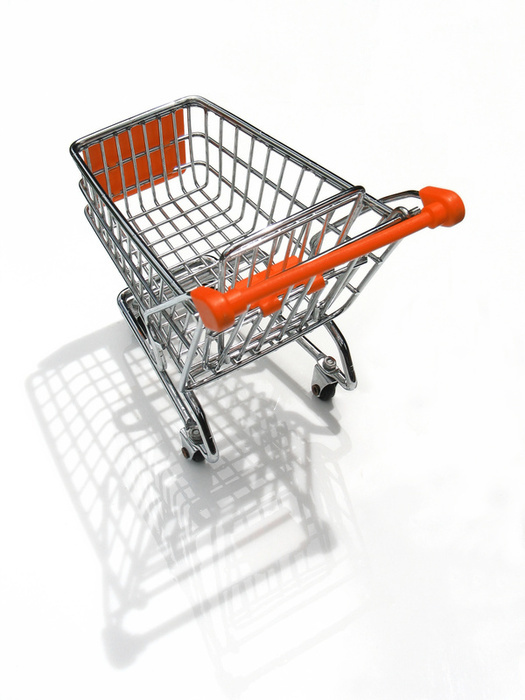 Our need is to be a functioning part of the Body of Christ, not a shopping cart. That we don’t get what we want (a theology and worship style I like), but what we need. That is, where faith is challenged, where we’re led to a deeper understanding of God’s role in our life and our role in the community and the world. At Jacob’s Well when we tell people they can come as they are, we don’t just mean in jeans and t-shirts. 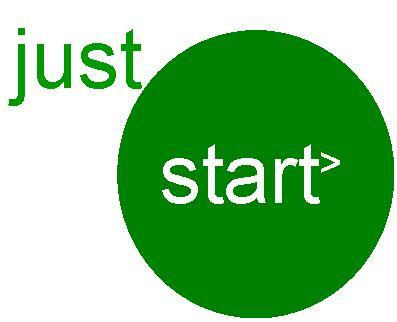 We don’t just mean with your recovery, financial, relational, personal and whatever-al other issues. We mean as a consumer. Bring it. We’ll let it encounter God and see if that isn’t one more thing from which God will free you. On Sunday (November 30, 2008) Jacob’s Well gathered at the Urban Hub of Urban Ventures, one of our strategic partners in serving the community. If you were there you may have been surprised by how we shared Communion. Some people were actually offended by it. That was the point…It was supposed to be! Let me explain. If you weren’t there our service was called “See hope. See hope run.” It was about putting action into our faith so that it makes a difference in the lives of others and brings hope. We focused particularly on homelessness. Communion happened with no fanfare and little explanation. It was unremarkable to say the least. Saltines were passed down the aisles and paper cups of grape juice. The body and blood of Jesus Christ, given for us. Here is what I tried to convey at the time and I’ll try to capture again here. Question number one: Is it still the body and blood of Christ when it is just a saltine and grape juice? When we don’t have special music and the mood isn’t set to be reflective? Is it still the presence of Jesus when all we know is that Jesus’ promise to be with us always is in the ‘bread and wine’? Question number two: How do most of the world’s people experience the love of God? Is it in nice houses, great meals, vacations and excesses from which to choose? Or is God’s love there for people despite the apparent poverty of their experience? My answer number two: If God is truly faithful to all people, then God is doing it in ways that those of us in our western world of material wealth would find uncomfortable, and hard to perceive. God’s love – if it comes at all – comes without bells and whistles, without excess and attention to detail, without any expectation of ‘enough.’ God’s love just is, despite the circumstances. The point wasn’t to offend or shock, but to throw us back on two very important realizations. That God’s love is there in real and tangible ways even when we have a hard time seeing it. We need to learn that for our own good because there will be many times when our lives are going to need to seek out hope when we’ve lost sight of it. The other is that just as we would like communion to be more of a celebration and closer to the banquet that God has in mind, so the way God’s love is experienced in the world should be more tangibly celebratory. We shouldn’t settle for billions of our sisters and brothers knowing God loves them despite their circumstances. We should be restless for them to know God loves them because of their circumstances – justice, opportunity, health, security. And that means that we who have the means need to get off one part of our anatomy and be the active arms and legs, the vibrant hearts and mind of Christ in the world. And until that day, maybe we should always celebrate God’s holy meal with mere saltines and paper cups of grape juice so that it might provoke us to the purpose of sharing God’s love. Hmmm… we’re coming up on Christmas… How did Jesus show up? Was it, perhaps, sort of a saltine and grape juice arrival? That means I don’t think it is helpful or responsible to let people wallow around in sloppy thinking or fall prey to deceptive thinking. It happens too easily. I’m going to start sketching out a formula for what I try to do, and I hope others will add comments and ideas and raise up examples that others have come up with. One – Pray – The is a holy process that God’s Spirit is involved with. It starts here, grows here and ends here. Two – Scripture – Model a balanced approach to reading the Bible (primarily) and other writings. Three – Vision – Supply vision for the purpose of faith and what it means to be a Christ follower in your context. Four – Groups – Create and support opportunities for individualized learning and conversation. Give general guidance to these experiences, but don’t manage them. Five – Service – Encourage and give opportunities to people to practice what they believe. Six – Listen – Leaders learn from what the larger body is discerning. This allows the body to mature spiritually.